Calling all quiz buffs! 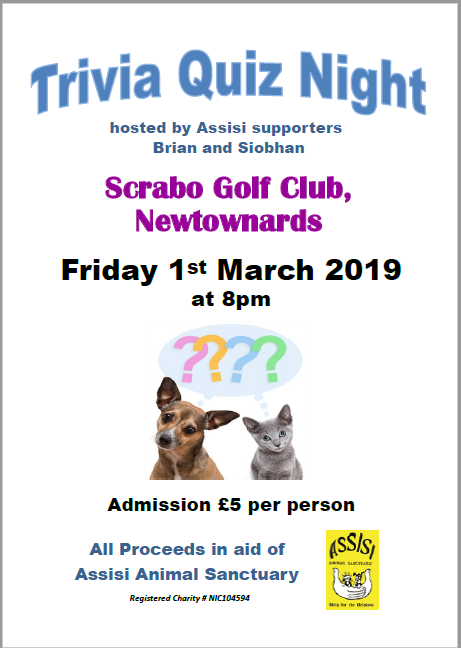 A couple of our fab supporters are holding a quiz night to raise funds for Assisi – why not come along and have some fun for a good cause! Friday 1st March at Scrabo Golf Club, Newtownards, starting at 8pm. Admission is £5 per person with all proceeds in aid of Assisi Animal Sanctuary.